*Associated with severe, bilateral sensorineural hearing loss. Two genetic mutations identified encoding cardiac potassium channels. 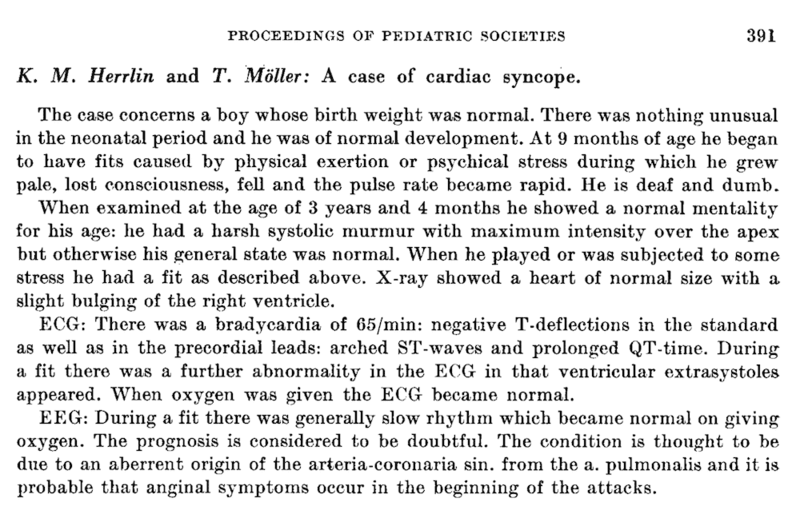 1953 – Herrlin and Möller describe a case of recurrent cardiac syncope in a young boy suffering deafness. They record the ECG and note negative T-deflections in all leads; arched ST-waves; and a prolonged QT-time. 2001 – Advances in research with paper by Schwrartz et al: Life-threatening arrhythmias in LQTS patients tend to occur under specific circumstances in a gene-specific manner. 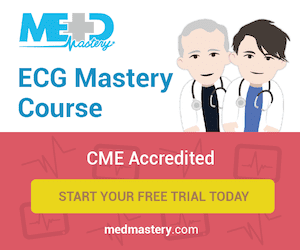 Herrlin KM, Möller T. A case of cardiac syncope. Acta Pædiatrica, 42: 391.